The long read: If you’re worrying about the amount of protein in your diet, then you’re almost certainly eating more than enough. A re you getting enough protein? The question provides its own answer: if you are worrying about the amount of protein in your diet, then you are almost certainly eating more than enough. This is the paradox of our new protein obsession. For many people, protein has become a kind of secular unction: it instantly anoints any food with an aura of health and goodness. On the menu at the gym where I go, a salad niçoise is now repackaged as “high-protein tuna”. It comes without the usual capers or olives – those are items that merely add flavour, and who needs that? On Pinterest, the lifestyle-sharing site, you can now choose “protein” as one of your interests in life, along with “cute animals” and “inspirational quotes”. In 2017, there were 64m Google searches for “protein”. Anxiety about protein is one of the things that drives a person to drink a flask of vitamin-padded beige slurry and call it lunch. You merely need to visit a western supermarket today to see that many people regard protein as some kind of universal elixir – one food companies are profitably adding to anything they can. “When the Box Says ‘Protein’, Shoppers Say ‘I’ll take it’” was the headline of a 2013 article in the Wall Street Journal. In addition to the ubiquitous protein balls, protein bars and protein shakes, you can now buy protein noodles, protein bagels, protein cookies and – wait for it – protein coffee. Even foods that are naturally high in protein such as cheese and yoghurt are sold in protein-boosted versions. Strangest of all might be “protein water” – clear, fruit-flavoured drinks laced with whey protein, as if ordinary water was insufficiently healthy. Around half of all UK consumers are apparently seeking to add “extra protein” to their diets, according to market research from the cereal brand Weetabix – which has also cashed in on our hunger for protein. The protein version of Weetabix – a 24-pack of which costs 50p more than the same-sized pack of original Weetabix – is worth £7m in sales per year. In a way, there’s nothing strange in the fact that we see protein as valuable, because it is. Along with fat and carbohydrate, it is one of the three basic macronutrients, and arguably the most important. We could survive without carbohydrates, but fat and protein are essential. Protein is the only macronutrient to contain nitrogen, without which we cannot grow or reproduce. There are nine amino-acid proteins – the building blocks of human tissue – that we can only get from food. Without them, we could grow neither healthy hair and nails nor strong bones and muscle, and our immune system would be impaired. A child who lacks vital protein in the first five years of life will suffer from stunting and sometimes wasting, too, as the dreadful persistence of malnutrition in the developing world reminds us. So the puzzle is not that we should crave protein, but that our protein anxiety has become so acute at a time when the average person in developed countries has a surfeit of protein in their diet – at least according to official guidelines, which recommend a minimum of 0.8g of protein a day per kilogram of body weight. According to 2015 data from the UN Food and Agriculture Organization, the average person in the US and Canada gets a full 90g a day, nearly twice the recommended amount (based on a supposedly normal adult weight of 62kg). The average European is not far behind with 85g of protein a day, and the average Chinese person consumes 75g. 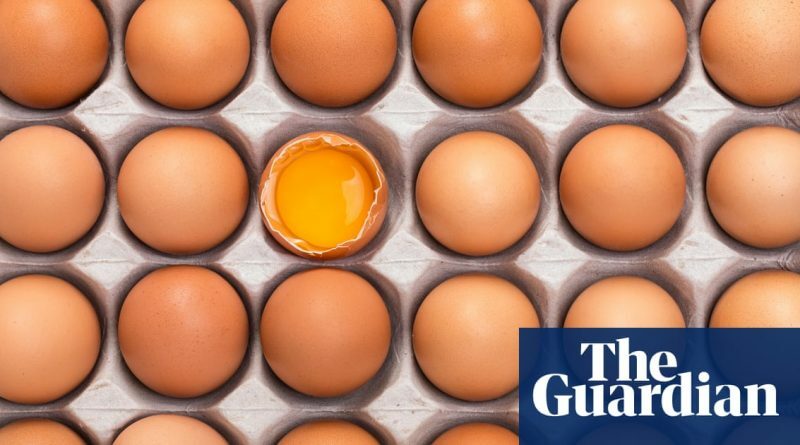 When we seek out extra protein to sprinkle over our diets, most of us in rich countries are fixating on “a problem that doesn’t exist”, said David L Katz, an American doctor and public health scholar who is the director of the Yale-Griffin Prevention Research Center. In his latest book, The Truth About Food, Katz notes that while the “mythology of protein tends to propagate the notion that more is better”, there are serious concerns that a very high protein intake over a lifetime can result in harm to the liver, kidneys and skeleton. And yet still we try to get more protein. In this world of abundance, humans seem to be on an eternal quest for the one safe substance that we can consume in limitless quantities without gaining weight. Such is the appeal of Diet Coke. Our protein anxiety drives us to take diets already high in meats, soya, sugars and ultra-processed foods and dose them with yet more meats, soya, sugary bars and ultra-processed foods because they are marketed to us as “protein” – even though many of these products are not even particularly high in protein. There is something paradoxical about our collective protein worship. When we pay good money for protein-enhanced food, we hope it will lead us to better health (however that is defined). Yet our single-minded pursuit of protein – as a disembodied nutrient whose presence trumps all other considerations – can lead us to behave as if we have forgotten everything we knew about food. T he intensity of our protein obsession can only be understood as part of a wider series of diet battles that go back half a century. If we now thirst for protein as if it were water, it may be because the other two macronutrients – fats and carbohydrates – have each in turn been made to seem toxic in the public mind. Official dietary guidelines in the US and UK still insist that a healthy diet is one founded on plenty of carbohydrates with limited quantities of fat, especially saturated fat. 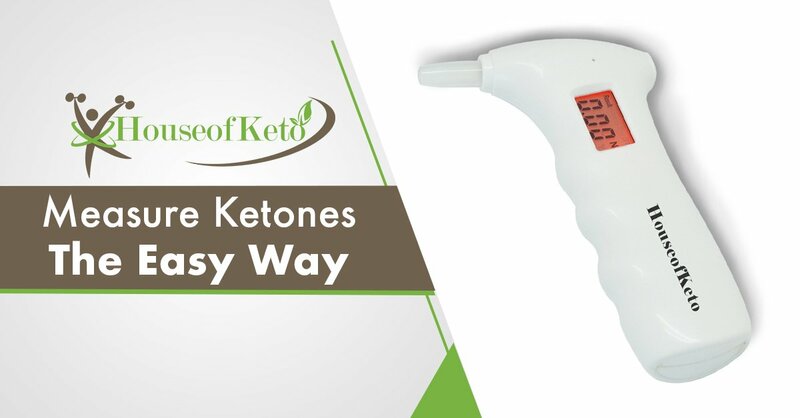 The rationale for this low-fat advice goes back to the landmark Seven Countries Study, conducted in the 1950s by the American physiologist Ancel Keys. Based on his observation of healthy, olive oil-eating Mediterranean populations, Keys argued that affluent westerners would suffer fewer cases of heart disease if they could limit consumption of saturated fats such as those found in butter, lard and meat. But as interpreted in the modern supermarket, the low-fat diet often ended up being a high-sugar and high-refined-carbohydrate diet, which was not quite what nutritionists had originally envisaged. In recent years, the low-fat, high-carb orthodoxy has come under fierce attack. In 2015, a meta-analysis conducted by a team of Canadian researchers concluded that intake of saturated fat was not associated with raised risk of stroke, type 2 diabetes or death from heart disease. Vocal anti-sugar campaigners such as Gary Taubes – author of The Case Against Sugar – have argued that the true cause of our current epidemic of diet-related ill health is not in fact saturated fat, but refined carbohydrate. While the low-fattists and the low-carbists continue to slug it out, protein comes out the winner as the one safe thing that most of the population feel they can still put their faith in, whether for weight loss or general health. We have to eat something , after all. The current protein fetish is merely the latest manifestation of a far larger phenomenon that Michael Pollan memorably referred to as “nutritionism” around 10 years ago. For decades now, there has been a tendency to think about what we eat and drink in terms of nutrients, rather than real whole ingredients in all their complexity. A combination of diet fads and clever marketing has got us here. It doesn’t matter whether we fixate on “low fat” or “low carbs” or “high protein” – we are making the same old mistakes about nutrition in a new form. F or a while, on my kitchen counter, next to the jars of rice and flour, there was another canister made of black plastic, much larger than the others. Its label said “SOURCE OF HIGH QUALITY PROTEINS” in huge letters. In much smaller lettering it said “READY TO MIX PROTEIN POWDER WITH SWEETENERS” and listed three kinds of whey protein: whey protein isolate, whey protein concentrate and hydrolysed whey protein. When you opened it, a fake vanilla smell wafted into the air and you saw a whitish powder and a black plastic scoop. This soulless canister of ultra-processed whey protein was something that I, as a food writer, never thought I would see in my kitchen. The macho aesthetic of the packaging made my heart sink. I am also no fan of artificial sweeteners, which I believe do no favours either to the palate or to gut bacteria. What’s more, I believe most people should be able to get the nutrients we need from a balanced diet, rather than through supplements. But nothing forces you to bend your own principles like parenthood. I turned to whey protein in a state of mild desperation for my very tall youngest son, who plays competitive sport five or six days a week. Three square meals plus multiple snacks only scratched the surface of his appetite, and he was sometimes almost crying with hunger by dinnertime. My conversations with other sport parents suggest that it’s not uncommon to be at least a little bit obsessed with their child’s protein intake. We grumble that protein bars are a pointless rip-off – and then we buy another pack of them. Protein means different things to different people. To some, it symbolises “weight loss”, while to others it means “muscles”. To me it appeared as a magical filling substance that just might help my son to be less ravenous. I had read studies suggesting protein was the most filling – or satiating – of the three macronutrients, and wondered if more protein at breakfast could be the answer. I tried him on homemade waffles enriched with almonds and hidden eggs (at that point he wouldn’t countenance whole eggs) and the improvement in his energy levels was dramatic. It was a short step to making him occasional smoothies from half a scoop of whey protein with milk and bananas or frozen berries. Despite my unease at the powder, I could genuinely see the difference in his levels of fullness. When the canister was empty I didn’t replace it, but I still monitor my son’s protein intake. Having “enough” protein in your diet to meet your basic needs is not necessarily the same as having the right amount for optimum health. When I asked David Katz how much protein a person should consume, he said certain people may indeed require more than the minimum recommendation of 0.8g per kilo of bodyweight – including athletes like my son. The problem is that once we start thinking more protein is automatically better, it can be hard to know when to stop. The idea that protein is synonymous with healthy eating leads many people to eat in disordered ways that are far from healthy, either for body or mind. A couple of years ago, Sarah Shephard, a thirtysomething British sports journalist, realised she was obsessed with protein. On a typical day, she was eating three or four protein bars, hard-boiled eggs, meat, fish and non-starchy vegetables and a couple of protein shakes. Virtually the only carbs in her diet came from the protein bars and shakes. It reached the point where she had so little energy in the evenings because of the lack of calories in her body that she stopped going out. Shephard’s protein obsession started when injury forced her to give up running. After she started doing boxing and circuits with a new trainer, he told her she should be eating more protein to help prevent future injuries. To start with, Shephard’s new low-carb, high-protein regime felt wonderful. She lost weight, gained muscle and became one of the many people at the gym clutching their sleek flask of protein shake like an amulet. However, she noticed her thoughts about protein were becoming obsessive. Given the choice between an apple and a protein bar, she always chose the protein bar, even though at a rational level she knew that a piece of fresh fruit with its fibre and vitamins had a lot to recommend it over a processed snack. By the time she finally sought help from a sports nutritionist, he said he had never seen anyone with such an intensive fitness regime who ate so little carbohydrate. She was consuming 150g of protein a day, around 2.5g per kilo of bodyweight – far in excess of the upper limit recommended for bodybuilders by the US Academy of Nutrition and Dietetics. Shephard slowly weaned herself back on to a more balanced diet that included a range of complex carbohydrates such as oats and brown rice. Despite her apprehension, she did not gain weight. When I spoke to her, Shephard had been eating a balanced diet for more than two years without any ill effects, and was a bit mystified as to how she had drifted into her protein fixation. Encouraged by the marketers of high-protein foods, many people talk about whether we we have reached our daily target for “macros”, but we do not talk so much about how much is too much. Adding extra protein beyond our needs can be harmful for people with underlying kidney or liver problems, as the body can struggle to process the excess. In 2017 there were sensationalist headlines around the world when Meegan Hefford, a 25-year-old Australian bodybuilder, died after consuming high amounts of protein shakes and supplements. Hefford hadn’t realised she was suffering from a condition called urea cycle disorder, which meant that her body couldn’t metabolise protein normally. Defenders of high-protein diets immediately attacked the coverage of the story, pointing out that Hefford’s condition was rare and that her death was not caused by protein per se. This was true, but it is also true that there is a significant minority of the population for whom a high-protein diet is not advisable. For the 4.3% or so of people in the UK who have chronic kidney disease, a large amount of protein from red meat can damage renal function. Above and beyond its long-term effects on the body, a fixation with protein can become a form of eating disorder. Three years ago, the American psychologist Richard Achiro decided to study men in Los Angeles engaging in excessive use of protein powders as well as other supplements such as caffeine. Achiro conducted a survey of nearly 200 active men who were using workout supplements and found that, for many of them, protein use had become a “variant of disordered eating” that threatened their health. 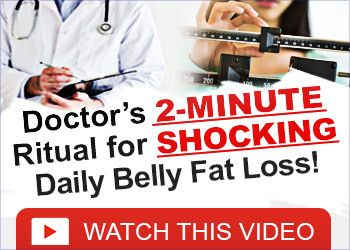 These men felt under intense pressure to achieve bodies that were not just thin, but that exhibited a supposedly ideal ratio of fat to muscle. Three per cent of the sample group had been hospitalised as a result of excessive supplement use, yet they still viewed supplements as healthy. Eating disorders have complex causes: Achiro told me the men who were overusing protein supplements also tended to be suffering from body dissatisfaction, low self-esteem and a sense of insecurity about their own masculinity. But they were not helped by the fact that the culture they lived in told them that when they replaced most of their meals with protein shakes, what they were doing was normal. Achiro found that it was hard for these men to recognise that their relationship with protein might have become a problem, “because those of us living in western society have been groomed to view a protein-rich diet as the apex of healthful eating”. B y 2001, Arla Foods, a vast European dairy cooperative with Danish headquarters, had used up all of the whey in Denmark. The company realised it would have to look further afield to meet the insatiable demand for whey protein. Arla signed a contract with SanCor, an Argentinian dairy company, to build a giant whey protein plant in the town of Porteña, to the north of Buenos Aires. When you order “warm protein pancakes” with blueberries at the gym, the odds are the protein will have come from a plant such as this. It was David Jenkins, a Scottish track and field athlete and silver medallist at the Munich Olympics, who first had the idea of marketing whey protein as a “recovery optimiser” for athletes called ProOptibol. 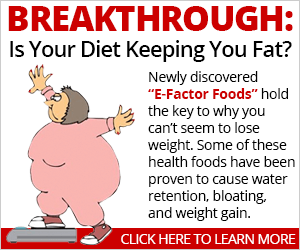 It was launched in health food stores in Southern California and Hawaii in early 1988. At first it was a niche product that found popularity among cyclists and triathletes. The formula for this original whey protein was called WPC 75. It was a byproduct from the Golden Cheese company, based in Corona, California – a giant factory that produced Monterey Jack and other American cheeses. In just a few decades, whey protein has gone from waste product to aspirational lifestyle enhancer. Whey is the watery stuff left over during cheese-making after the curds are separated off. On traditional dairy farms, it was put to good use in anything from bread-making to pickles, but in the vast American cheese factories of the postwar years it came to be seen as an unwanted nuisance. In US dairy states such as Wisconsin, cheese factories dumped thousands of litres of whey in nearby rivers. It was only in the 1970s, after local authorities placed limits on the dumping of dairy waste, that cheese manufacturers realised they had to find a way to use up this annoying whey. The quality of whey powders – known as “popcorn whey” – was poor, and it was mostly used to feed pigs. The key technology that made whey protein possible was the development of ultrafiltration techniques to pre-concentrate the whey before it was dried. This was when whey protein started to be made on an industrial scale. There is nothing on the average tub of whey protein to suggest it ever came from cheese, let alone from a cow. Whey manufacturers work on the assumption that consumers want it to be as close as possible to flavourless, to preserve the illusion that it is some kind of magic potion for humans. In its unadorned form, however, whey varies considerably in flavour. There are two kinds of whey: sweet whey made from rennet cheeses such as cheddar and mozzarella, and acid whey made from the likes of cottage cheese. Cheddar whey has a tendency to taste cardboardy, mozzarella whey is milky and whey from cottage cheese can be sour or reminiscent of cabbage broth. But in the finished product, all these flavours are evened out and disguised by the cloying scent of chocolate, artificial vanillin or salted caramel. Dairy whey protein has become a commodity that travels the world in 100kg sacks, generating vast profits, coordinated by GVCs (global value chains). Thanks to the shifting patterns of supply and demand, the protein shake a gymgoer in Tokyo drinks after lifting weights may have originated on a farm in Norway. The lowest-quality whey powder is called “permeate” and is mostly shipped to Asia, where it is made into infant formula. The higher-quality whey, called WPC 80 because it has an 80% protein content, travels the world to fuel our protein obsession. The global whey protein market is now a complex and hugely competitive global trade, forecast to reach $14.5bn by the year 2023: more than half as much as the global market in breakfast cereal.